This June, the Bras d’Or Lake Biosphere Reserve will be hosting a meeting of CBRA and Indigenous Circle members and a three day climate change adaptation forum. From June 18-21, members of the Candian Biosphere Reserves Association (CBRA), the Indigenous Circle for Biosphere Reserves in Canada (Indigenous Circle), other special guests, and engaged citizens will gather in the BLBR for four days of meetings. The first day, June 18th, will be an invitation-only event dedicated to a meeting of CBRA and Indigenous Circle members, hosted in the community of Membertou in the tribal district of Unama’ki. 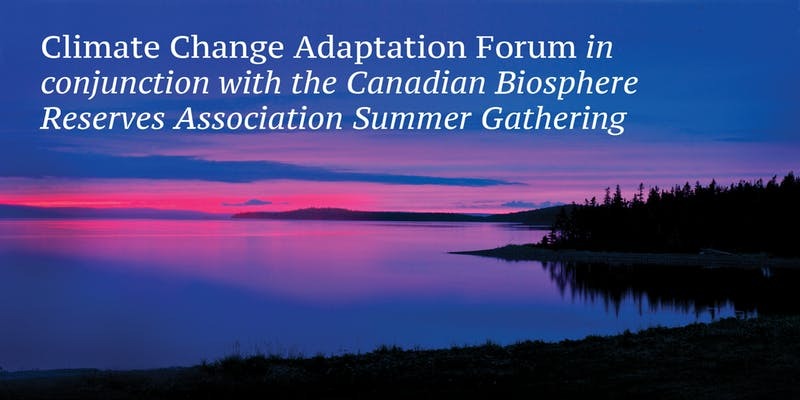 The following three days, June 19th to 21st, will be dedicated to a Climate Change Adaptation Forum in Baddeck in the heart of Cape Breton Island (Unama’ki) on the shores of the Bras d’Or Lake; registration for this event is open to the public. The goals of the Forum will be to identify existing and potential adaptations to Climate Change in Canada’s UNESCO biosphere reserves, and to produce Climate Change Adaptation Guidelines as a resource for use in communities across Canada. For more information on this event, click here for an agenda–and please stay tuned to this page for updates!